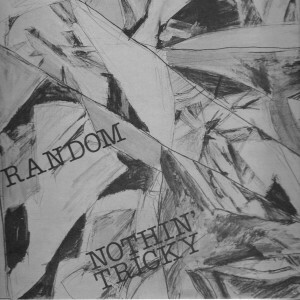 Random was a band in Champaign-Urbana, IL, in the late 1970’s. We played small venues – mostly coffee houses. We played originals, as well as an eclectic assortment of covers (Stolen Moments, San Antonio Rose, …). The band name was originally “Random Rhythm and His Miscellaneous Meter Review,” but it kept getting shortened. Nothin’ Tricky was our only recording. It was recorded in a 16-track analog studio, with all songs recorded in one take – no overdubs. (OK, one overdub – the whistling in Becky.) We released it as an LP. Yes, genuine 12″ vinyl. Since the master tapes are lost to antiquity, I digitized an LP in order to re-publish the music. The album was dedicated to Werner Heisenberg. It was the 70’s, after all.